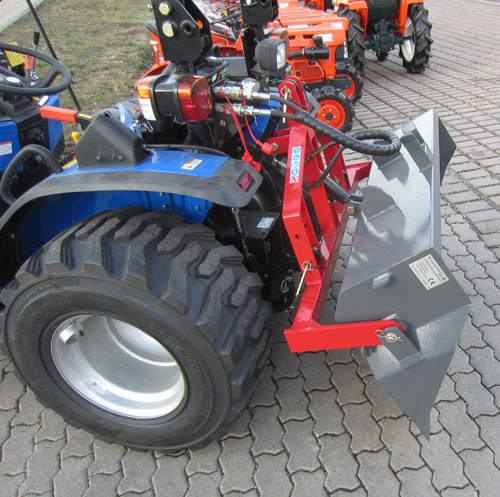 399,00 EUR 19 % VAT incl. 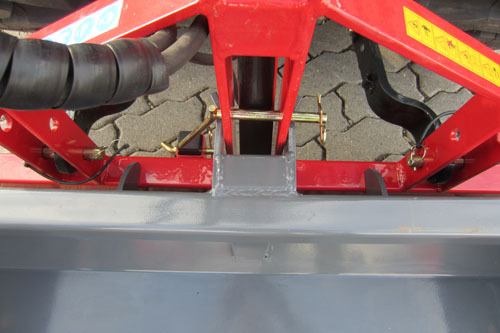 The material thickness of the side parts is 4 mm. 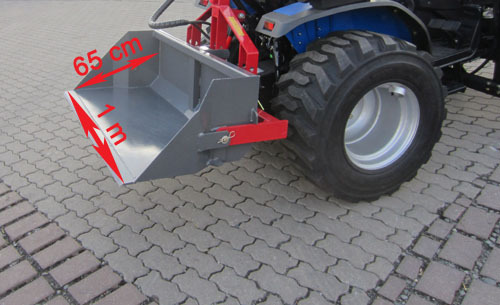 The steel scraper bar is 10 mm thick. The dimensions inside are 100 x 62 cm. 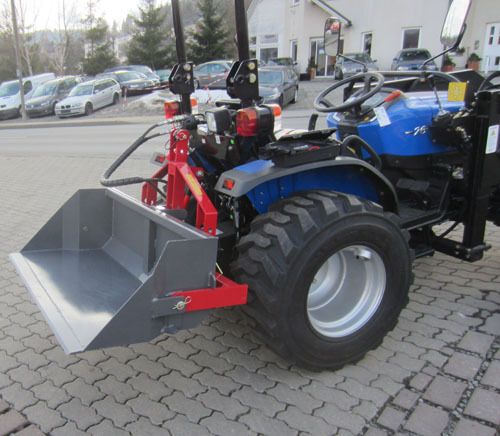 The scope of delivery includes the rear bucket with hydraulic cylinder double-acting, hose protection 1.20 m and bayonet locks. 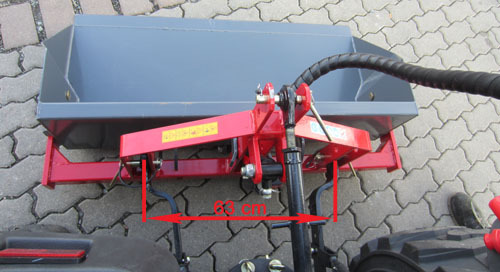 It is infinitely hydraulically loading and tilting possible. 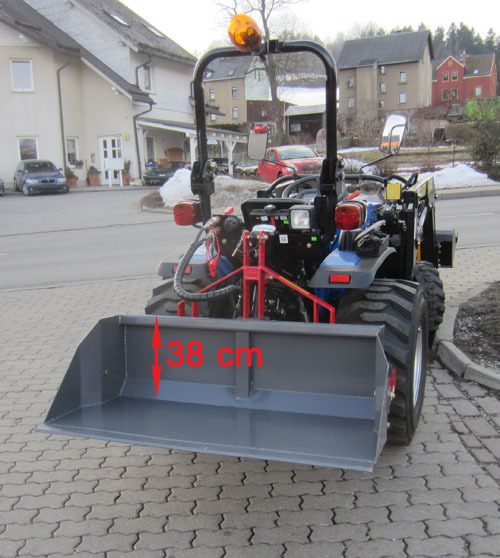 In central inclination snow clearing is possible with this scraper. 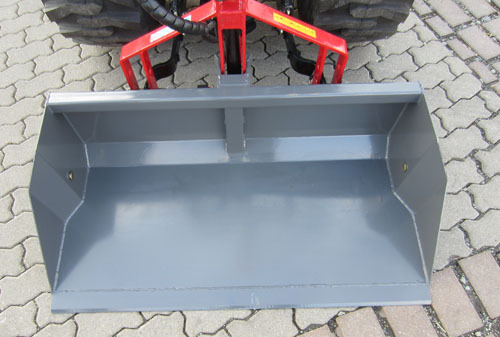 In the version rear trough: During tilting the rear tailgate opens by means of a steel cable. 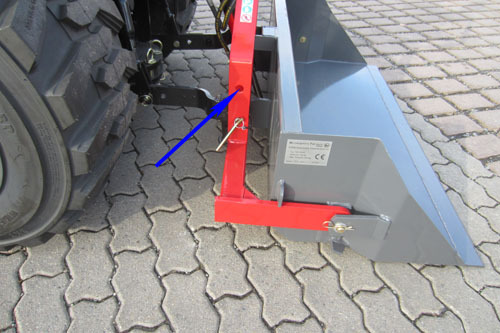 The length of the steel cable is adjustable - so the tilt angle is infinitely adjustable. 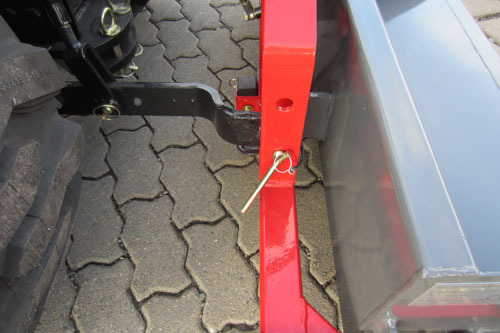 Furthermore, it is possible to remove the rear tailgate. It is fixed by 2 screws.